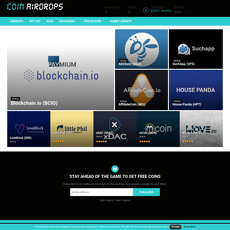 Airdrops.me platform is yet another airdrops website inclusive of airdrop information, however, this one a little unique in that it sorts projects by their exchange. 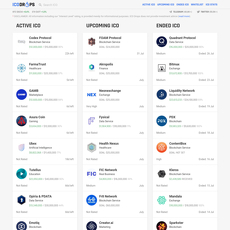 The links simply send you to their respective exchange sites. A little misleading. Upon entering the website you will be slightly annoyed by a pop up ad. 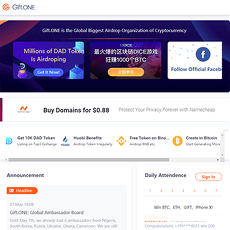 After closing the ad, you’ll find 3 portals linking you to either Binance, Coinbase, or Cex.IO. One would expect these portals to send you to a list comprising of airdrops available on those exchanges but unfortunately, they’re just links to the exchanges themselves. 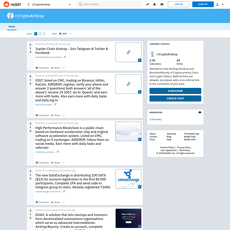 The site repeatedly asks you to join their Telegram and asks you to join them, providing little to no description of either one. 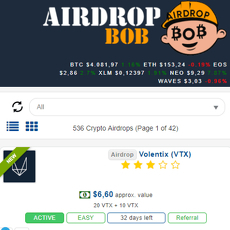 Finally, if you want to find information on airdrops, you must click the “All airdrops” button located at the very bottom of the site. 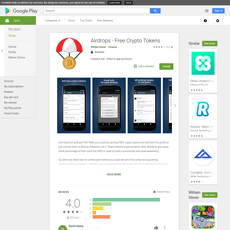 Only then will you see a list of airdrops and buttons that seemingly send you to their application websites. The site contains an arbitrary rating system and allows users to sort them based on Token category, Rating, Application method, and start date. Generic airdrop list allowing users to easily find airdrops and apply to them. Sorting by application method is nice as some users tend to be more comfortable with specific methods than others. 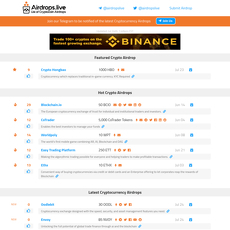 A little newbie info can be found on the airdrops list portion of the website which is a nice little spot to learn about airdrops. Pretty generic airdrops website that is a little confusing to use at first. Tons of affiliate advertising and possibly a very biased ranking system.